For those people living or vacationing in the Albany area, the question is not one of where to ski, it's one of how far do I feel like driving today? Albany has several mountain ranges and ski centers nearby, perfect for a day or an evening out on the slopes. From as close as twenty minutes to as far as three hours, some of the best ski slopes in New York, Massachusetts, and Vermont are within reach. The Adirondacks, Catskills, and Green Mountains are all close to the Capital Region and provide a winter playground perfect for downhill and snowboarding. Slightly farther away from the Capital Region lies Hunter Mountain, with 320 acres of trails and a variety of terrain to challenge all levels. This big mountain offers all the normal ski resort amenities, including lessons, rentals, and more. Travel to southern Vermont and enjoy excellent skiing on Okemo. This ski mountain resort offers 20 lifts, 667 acres of winter wonderland, and 121 trails, from beginner to expert. Otis Ridge Ski Area in Otis, MA, offers the perfect terrain for those who are looking to ski or snowboard during winter. The ski resort is family-friendly and offers trails for beginners and experts, as well as a ski school and camp. 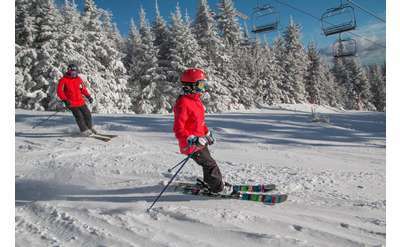 Just over the border into Massachusetts lies Jiminy Peak, offering several advanced and expert trails, as well as private and group ski lessons for beginners. Head south of Albany to Windham Mountain, offering a large variety of trails from easier ones to challenge the rookies, to extremely difficult to challenge the expert. Check out Royal Mountain Ski Area in Caroga Lake, just over an hour away from Albany for skiing and more winter fun. Located in Great Barrington, MA, Ski Butternut is a ski resort offering over 20 trails, two terrain parks, a full-service ski and snowboard shop, and more. Killington Ski Resort is the largest ski and snowboard resort in the east with over 3,000 acres within the boundary. Jay Peak Resort offers a vertical drop of 2,153 feet, making it the eighth largest drop in New England and the fifth largest in Vermont. Ski Bromley, VT, New England's Best Family Resort! Bromley offers top skiing and snowboarding for a memorable ski vacation at great value and features award-winning kid's programs, diverse terrain & friendly staff. Stowe is a world-class mountain resort in the quintessential New England town consisting of two mountains, including the highest peak in Vermont at 4,395 feet. Drive two hours southwest of Albany to Orange County this winter for skiing in the heart of the Hudson Valley. Family-operated Mount Peter, the oldest operating ski area in the state, is known for its free beginner ski and snowboard school. Featuring over 20 trails, Ski Blandford in Blandford, MA, is the perfect place to go skiing and snowboarding. The ski resort also offers lessons, racing programs, and much more. Venture southwest of Albany for Catskills skiing or snowboarding! There are 38 trails in all - from beginner cruising trails all the way up to double black diamonds with 1,100 feet of continuous vertical drop. With more vertical drop than 80% of New England ski resorts, a terrain park, a classically styled base lodge, and great ticket deals, Pico is your home in the mountains. Mount Snow in Vermont offers so much to do, it almost defies the name ski center. Cross-country skiing, snowshoeing, snowmobiling, tubing and more can all be enjoyed. Located in Monticello, NY in the Catskiils, Holiday Mountain is a fun-filled downhill ski resort offering slopes that are groomed daily using power tillers. The mountain has 9 slopes for every skill level. 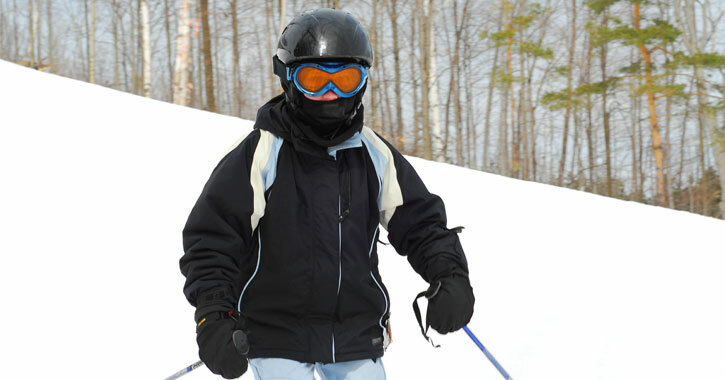 Visit Belleayre, a ski mountain resort great for any level of skier. The resort features 50 trails, parks and glades, a vertical drop of 1,404 feet, 8 lifts, and 4 lodges.